Scot Sherman serves as Teaching Pastor at City Church of San Francisco. 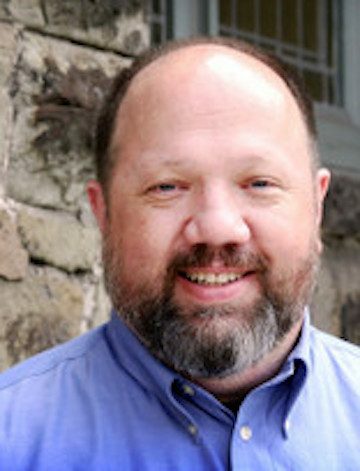 He is also the Executive Director of the Newbigin House of Studies, a center for graduate theological education and spiritual formation based in San Francisco. He oversees the Newbigin Fellowship, a nine-month intensive training program that seeks to provide a framework for wise integration of faith, work, and life, and hosts the speaker series Conversations For the Common Good. He also founded and hosts the Open Forum events at City Church. His guests have included N.T. Wright and Alister McGrath. Sherman is a native of Atlanta, Georgia. He earned his B.A. in English from Mercer University, his M.Div. from Westminster Theological Seminary, Th.M. from Princeton Theological Seminary, and his Ph.D. in Historical Theology from University of Wales. His doctoral dissertation focused on the early ecumenical influence of the British missionary-theologian Lesslie Newbigin, a pioneer in thinking through the challenges facing churches in the contemporary West. Sherman served on the staff of Redeemer Presbyterian Church in Manhattan, and was the organizing pastor of The Village Church in Greenwich Village. He was Senior Pastor of the Intown Community Church in Atlanta prior to coming to City Church.